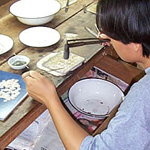 From the hands of the talented Thai jewelry artisans comes this lovely necklace. 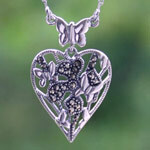 The heart-shaped pendant features butterflies hovering around a large flower studded with marcasite. This necklace may vary slightly in weight and size. Materials: Sterling silver (.925) and marcasite. 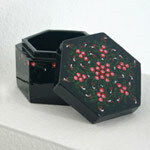 Clasp type: Spring ring clasp. 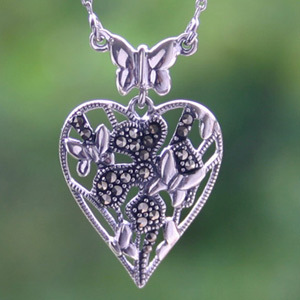 This marcasite and silver heart necklace is handmade by jewelry artisans in a workshop located in Bangkok, Thailand.